Have you ever heard of Leicester City? Well, if you are not that much interested in English football, just some short information: it is a football team that has won the English Premier League by completely outperforming such famous clubs as Arsenal, Chelsea, and Liverpool among others. Sounds like a fairy-tale, right? Here are some more fun facts that you may use to surprise your friends when sitting in a pub. 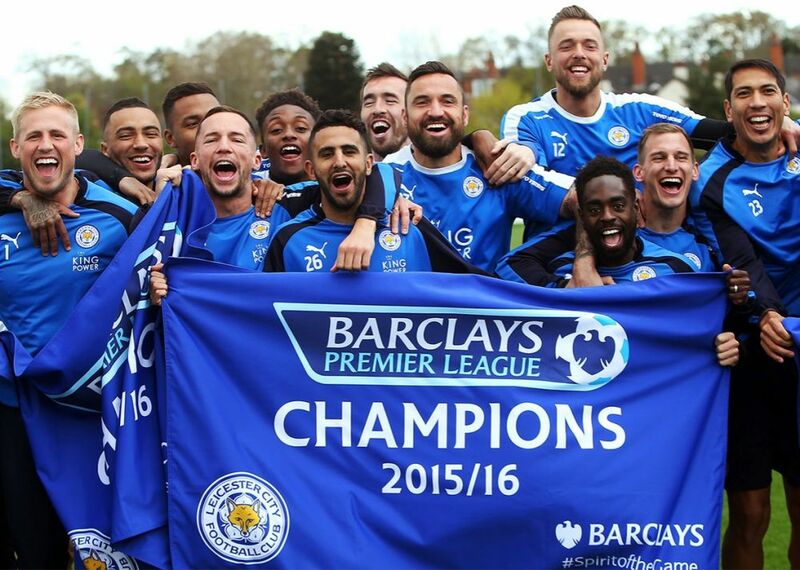 Frankly speaking, I am really happy that they won the league. I don’t know whether to call it luck or perseverance and hard work, but the guys had almost no chances of winning. It’s as if my amateur teammates won the UEFA Champions League. It is rumored that the team might have gained support from Richard III, to be precise, from the discovery of his remains. After the royal reburial of the king’s remains in Leicester Cathedral, the team began winning. I doubt that the King Richard theory sounded believable to you, but there’s one more king that might have an influence on the team’s success – Srivaddhanaprabha, who you might see on the players' shirts and the club's stadium. Which actor will be the best to play the striker Jamie Vardy in a Hollywood movie? Claudio Ranieri, the manager of Leicester City, thinks that Vardy wouldn't mind if Robert De Niro played him in movies. LOL. Dilly ding, dilly dong. No, it’s not a sort of some special incantation to win in the English Premier League – these are words said to the team by Ranieri when they lose concentration. Well, the team truly deserved to become the talk of the town. Agree, these guys are worthy of it. However, they should enjoy this tremendous feeling while they can, because I doubt that the next year they will be winners as well.